Discover Erice, a village where time seems to have stood still, where myth, legends and history meet in the town's architecture. We will set out from the port of Trapani to take the cable car up to Erice. A charming and picturesque medieval town, Erice stands on the mountain of the same name that boasts stunning panoramic views over Trapani, the salt pans and the Aegadian Islands. 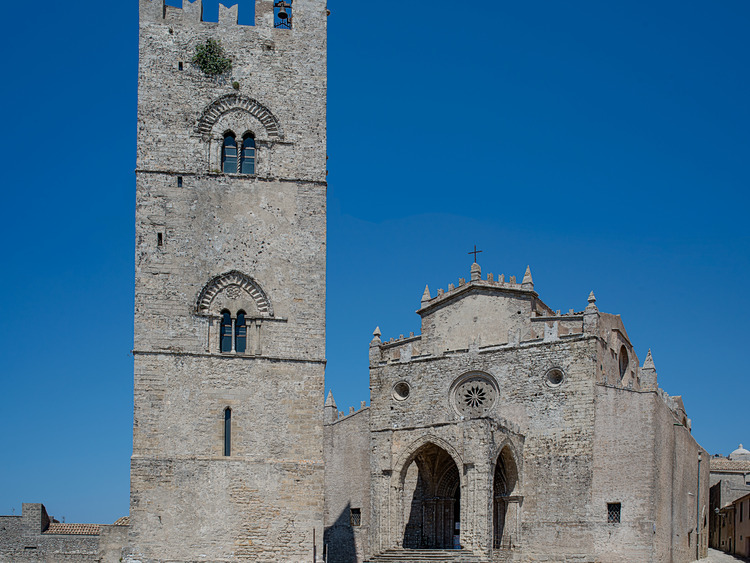 According to legend, Erice, or Eryx, was the son of Aphrodite and Butes, a local Sicilian king. When Eryx became king, he founded a town with his own name, placed it on a rock, and built a sanctuary dedicated to his mother at its highest point. Our visit begins at the Trapani Gate, located near the Cathedral of the Assumption (also known as the Mother Church), built in 1313. We will stroll along the narrow cobbled streets, exploring the town's hidden corners, wonderful courtyards and characteristic shops selling local crafts. We will then visit the Balio Gardens, home to the Pepoli Castle, built during the Norman period and extensively altered in the 19th century to be converted into a villa. Our excursion continues to the Norman fortifications of the Castle of Venus, where the ancient acropolis and temple to the goddess of the same name once stood. Our final stop will be the main square, where we will be able to enjoy some free time to relax in this magical setting. If the cable car is closed due to high winds or for safety reasons, we will travel to Erice by coach.